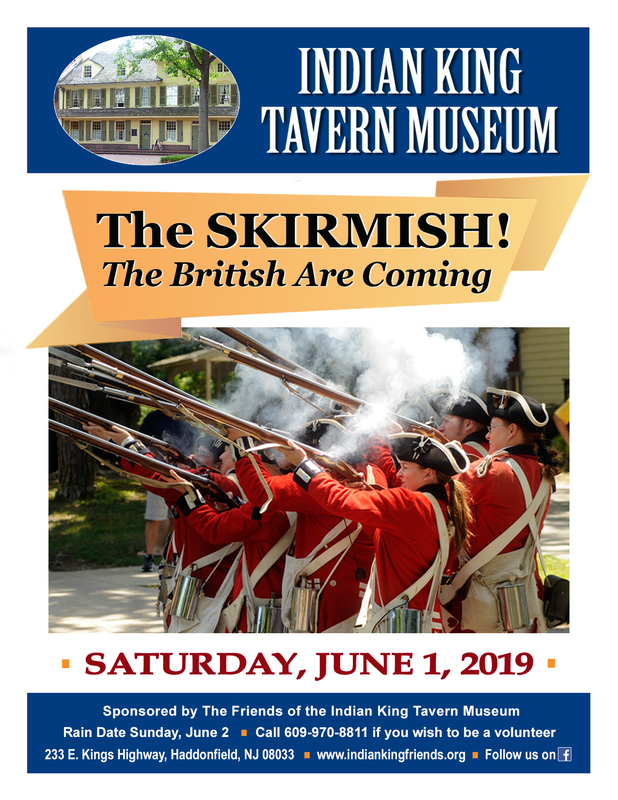 The Skirmish on June 1 | Haddonfield Farmers Market ~ Celebrating our 13th Season in 2019! On June 1, bring the whole family to town for a full day of activities which will include several living history presentations, games, demonstrations, music and food. The British will march through the market and who knows what will happen there?! Beware the Red Coats! There have been reports of pillaging and and theft! Check back soon for more information or visit IndianKingFriends.org.